drive, USB SSD or SD card for post-production. DSLR or video camera to wirelessly transmit 1080p60 video to SlingStudio. SlingStudio hub) and easily moved. wireless adapter (sold separately) or to SlingStudio’s HDMI input port. in the Apple App Store and Google Play; no CameraLink needed. SlingStudio for advanced production needs. into editing applications like Adobe® Premiere® Pro CC and others. internal battery provides up to two hours of power. provides up to three hours of power for portability. 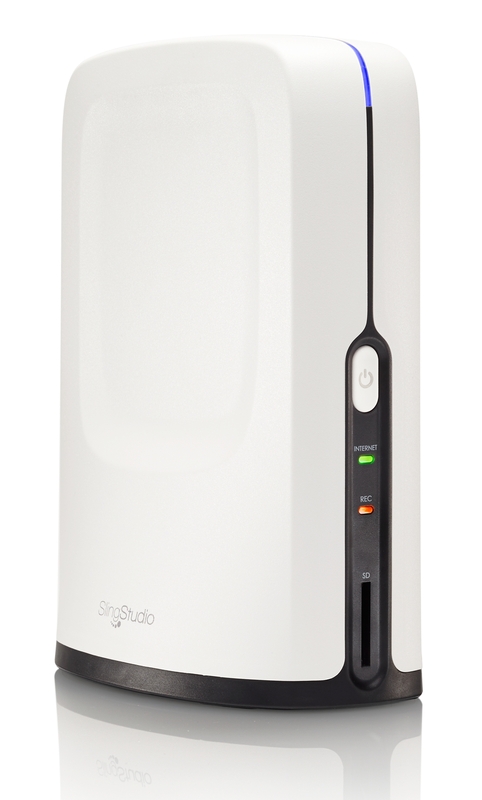 is SlingStudio’s preferred storage supplier. compatible equipment and product training. 5.59” x (D) 3.54”, tripod mountable. to Internet for live streaming. sources using the Console app for iPad. ability to effortlessly synchronize audio and video. other content-sharing websites is coming soon. Storage: Storage via SD or USB-C drives. Optional USB-C Expander available to connect USB 3.0 drives. Console app. For a complete list of compatible devices, visit www.MySlingStudio.com/compatibility. For multimedia assets, visit www.MySlingStudio.com/press. cameras to record, monitor, edit and broadcast HD video in real time.